For the development of an event business, you need a good marketing plan. The right marketing plan for an event usually identifies your target audience and how you will attract new customers and keep them organising events with you over and over again. What is an event marketing plan? It is your strategy roadmap that will help you reach the goals you’ve set for your event organisation. For example, your objectives may be to sell a certain number of early-bird tickets, boost a specific brand’s sales, boost event awareness, increase team leadership, promote community loyalty, or something else entirely. Writing an event marketing plan is a necessary step. Write out exactly what event schedule you will use; the metrics you’ll use to evaluate your event’s performance; and many other vital elements, such as the number of exhibitors, attendees, venues and vendors, networking activities, mentions on social media, etc. The data and insights you gain will help you make the next event you’re planning even better. You can also ask for a useful sample event marketing plan or other help from GEVME specialists. Let’s now look at how to create a marketing plan for an event step by step. This will help you succeed with any type of event organisation, starting with the target audience and budget all the way up to timeline writing and other critical details. You need to know how to identify your target audience, take into account all possible nuances, and discover how that relates to your product. Get to know your target audience and learn how it is different from your competitors. There is no event without a goal. Clearly identify your event goals and objectives. The goal is very important because it defines the whole structure of the entire marketing plan document. If you create a campaign with specific start and end dates, you can set a total budget for the entire duration of the event marketing campaign. To do this, use GEVME event marketing apps. Gather your team and discuss your marketing plan aspects and items. Make sure everyone is tuned in and understands what’s needed. You will need to delegate certain responsibilities and divide them between the most competent team members. Include the marketing types you are going to apply in your event promotion into your plan. Also, feel free to use marketing tools and GEVME tips to help you and your team with metrics, reporting, or marketing surveys. An event promotion item will include a serial event content strategy, nurturing email campaign, segmented emailing, your event’s value proposition, booth ideas or social wall ideas, and more. Remember that non-marketed events do not create an impact. To cause a real stir, be ready to promote your event and carefully plan out your engagement tactics. Be ready to connect people. Building business relationships at events is an integral part of your future success. You have a chance to connect and unite your attendees with each other as well as find business partners or sponsors through GEVME Connect, an online messaging system with convenient conditions for conversations. 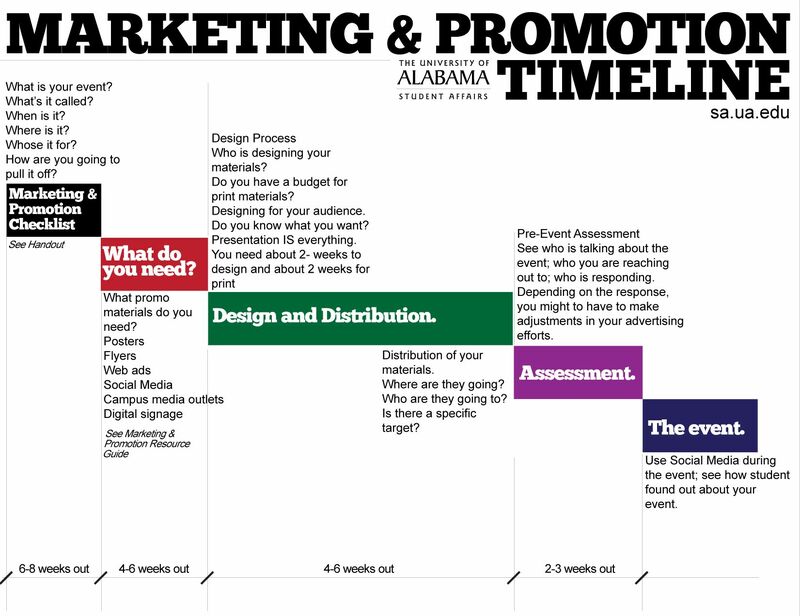 Don’t forget to make a timeline of your marketing plan for the event. This will help you with deadlines and releases, brief goals, and other timing and management issues. 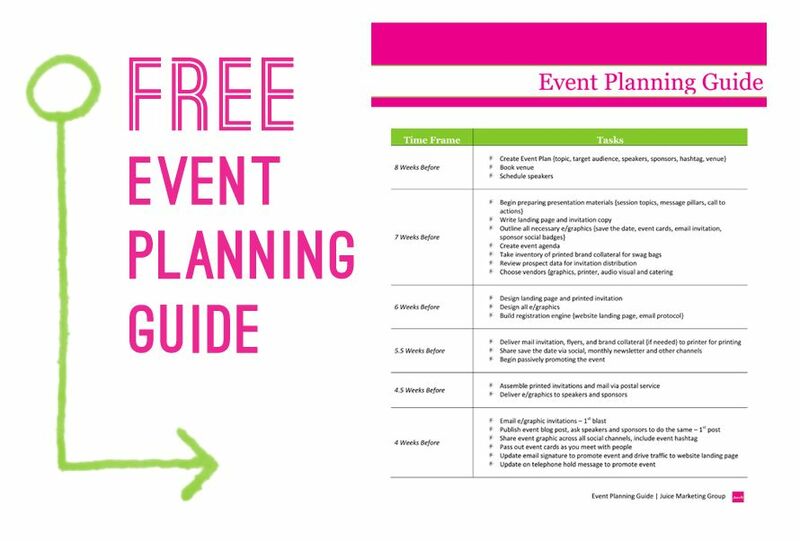 When you make your event planning marketing plan and fill in your event marketing calendar, you probably already know the results that you want to achieve. The truth is that results may differ from event to event, depending on the event objectives being pursued. Either way, there are good event marketing plan practices that will come in handy for event planners on their way to success. Web Summit content marketing from the biggest, greatest tech conference in Europe, held in Lisboa. Goal: To popularise tech-related trends and provide guests with knowledge or skills. Strategy: Setting a convenient venue and creating good environments for achieving goals. The result: Talks and panels for discussions of global tech trends presented at the conference to provide guests with info on tech trends, knowledge, and skills. Test kitchens are set up for cooking demonstrations by Michelin-star chefs at the Tastemaker event at Fort Mason. Strategy: Embody the event theme and expose the brand to a highly targeted audience. The result: Significant brand exposure to a highly targeted audience achieved! Gourmet coffee company Illy was one of the sponsors of the aforementioned San Francisco Tastemaker event. Goal: Make the crowd happy. Strategy: Provide a welcome service to the audience using a partner’s event and their sponsorship. The result: Coffee company Illy’s display increased brand recognition after it cleverly doubled as a working espresso bar. Strategy: Encourage target audience participation through a series of health actions. The result: Rally’s HealthFest events were successfully designed to encourage audience participation. You can also come up with your own event marketing plan example where you will include event ideas and practices on your way to a successful event. On the road to event marketing success, your event marketing methods may be unfamiliar to some team members, but best practices may help to wrap up your strategy. Set specific event goals to help direct your event strategy. Find the best event technology provider that helps you better organise, manage, market, and measure your events and provides all the necessary tools to do that. Promote your event brand and use it to drive awareness. Leverage partners, sponsors, and other participants to help produce and promote your event. Review data from your event to make it even better next time. At the end of the event, the most successful marketing campaigns produced according to the plan are those that can muster all the used resources and focus to put the attendee experience front and center. The most frequent question marketing managers receive is how to implement an event marketing plan so that it results in new customers, sales, and profits. The answer is very simple. You need a well-adjusted and detailed marketing plan, which is basically a plan for how to seduce your customers. The value of having a detailed plan is that, like a lighthouse, it shows you the right path to shore. Without a plan, you will go through different ways to attract customers, as if you’re looking for a switch in a dark room—you’ll be flying blind! Therefore, a plan for your marketing activities shows the way to the minds and hearts of your new event customers with all risks possible. At the same time, it reduces the number of errors. Of course, implementing your plan is easier with good examples. There is a variety of marketing plan templates, so you can pick the one that suits your objectives and event specifics best. Based on the graphic plan templates, you will know how efficient your marketing plan is, how much of the budget is spent, the deadlines, the channels that work well, and which ones should be corrected, such as changing the contractors or abandoning a certain way of attracting customers altogether. 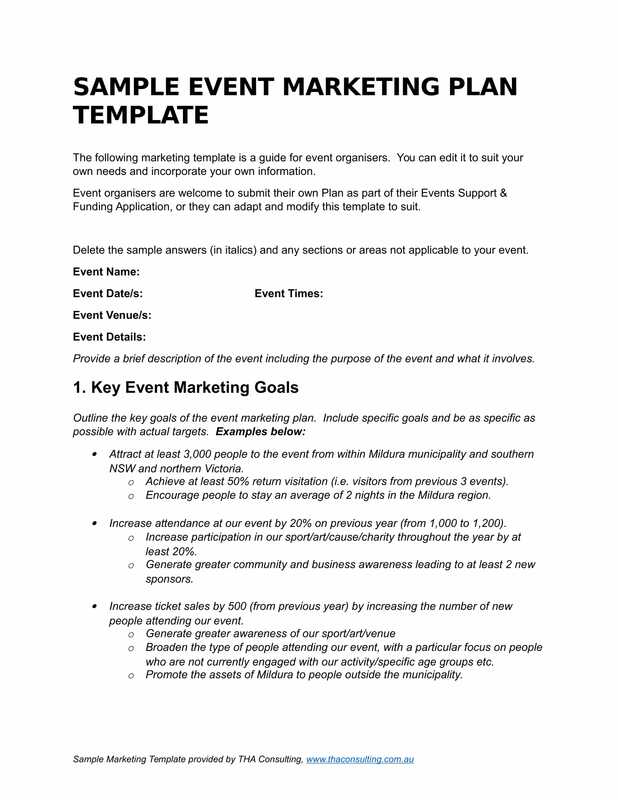 An event marketing plan template is a good tool in the process of event organisation. Here are some tips on how to choose the best template and how to apply it properly from the top event technology supplier. Know the kind of template you want: Find and choose the most suitable event template to create a successful marketing plan and write out a timeline. Don’t over/underpay: You should also query the template prices and do research on the event technology you are going to utilize. Request a demo or ask for free trial options. Be patient and persistent: When you learn or apply something new, try to figure out how it works best, then use it in event marketing practice; make corrections and provide amendments if needed. Keep an eye on customisation and flexibility options: Your chosen event management platform should allow you to customise your templates and provide flexible terms and conditions of usage. Pick responsive templates and features: If possible, use these options or try to find similar apps and tools. Pick a solution with customer support: It is good to have a helping hand when you’re dealing with event technology. Thus, a platform with support will be a priority when seeking high-quality event marketing plan templates and implementing them successfully. In case you don’t know what to do, feel free to contact us anytime! An event marketing plan is one of the most important documents in the development of an event campaign. Without it, investments in marketing will be like a roulette game. If you’re lucky, you win. This document will help you competently form a budget for promotion as well as choose effective marketing channels and tool sets for each goal and performance indicator. 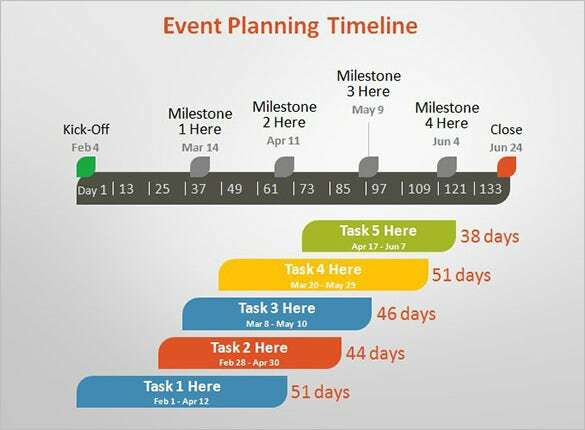 If you regularly use the plan to track the results of event marketing, you will be able to make the right decisions on the implementation of the sales plan and create future events and trends. Good luck!